Lots of people want to move north these days, but there’s a problem. North itself is moving. According to an article in the science journal Nature, Magnetic North is relocating itself. 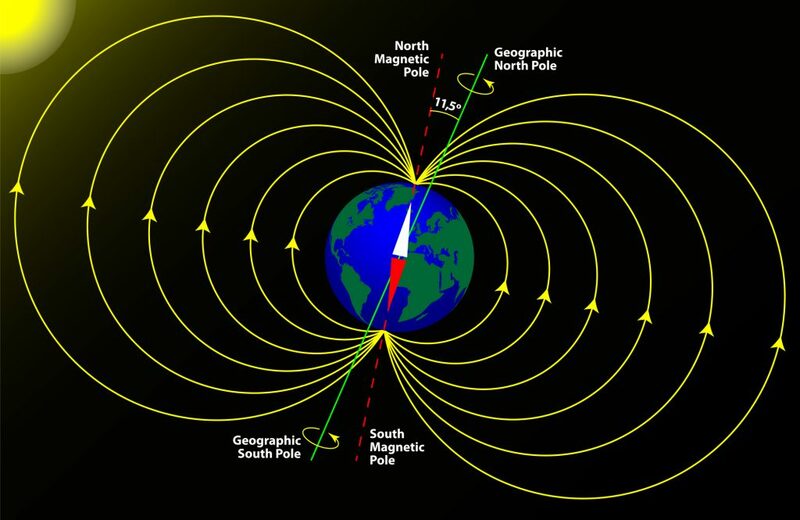 Magnetic north is partly caused by a large mass of iron that used to be in eastern Canada. This mass is actually moving toward another mass of iron that is under Siberia. The movement was rather slow in the early 1900’s – about 15 kilometers or 9.3 miles each year – but it has sped up since then, to around 55 kilometers, or 34 miles, a year. It’s moved so far that it has left Canada behind and gone past the International Dateline, and is now in the eastern hemisphere. Considering that the thing that is moving is a huge mass of iron, this movement is a little disconcerting to contemplate. But that mass of iron is so deep it is liquified, and is sloshing around, sort of like water in a bathtub. The movement is severe enough that it is causing problems with navigation. The troubles are with everything from ships at sea to google maps on your cell phone. Any device that is used for navigation is affected by this problem. Geophysicists are the world geomagnetism experts. They are the folks who monitor this sort of thing, and they set the amount of correction that devices need to account for the difference between true and magnetic north. That difference is important information, and if it is off, it can cause big problems. The experts last made their corrections in 2015, and those corrections should have lasted to 2020 – but that mass of iron is moving more than 30 miles each year now. Their adjustments are now so inaccurate now that it was about to exceed the acceptable limit for navigational errors. The experts say that the location of the north magnetic pole appears to be governed by two large-scale patches of magnetic fields. One is below Canada and the other below Siberia. They are in a tug of war for Magnetic North, and as one scientist put it, the Siberian patch is winning the competition. The Canada patch has a long way to go to get to Siberia. So those Geophysicists are going to be busy for several years, keeping track of that wandering mass of iron. 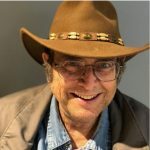 I’m Len Wilcox and that’s the Western View from AgNet West and Citrus Industry Magazine. Visit us on the web at www.citrusindustry.net.